Atticus takes his cousins to his favorite playground - Woodland Discovery Playground at Shelby Farms. I guess you can consider these shots as my ode to Terrence Malick's Tree of Life. That tree is monumental. 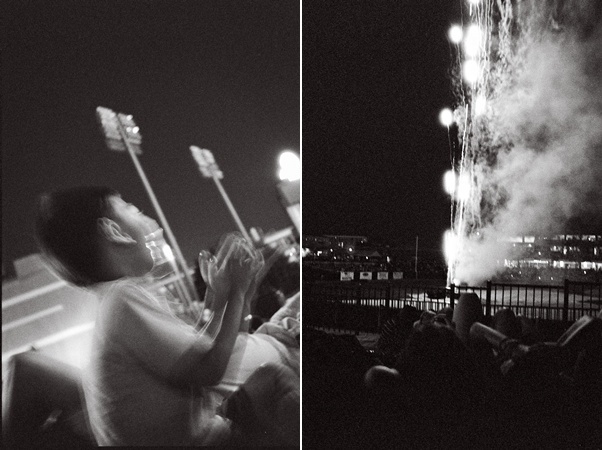 / Atticus claps in excitement over the fireworks at the Redbirds baseball stadium a few days before his birthday. B&W Ilford film photos by Sophorn.